Something to Muse About: THE HATEFUL EIGHT | Get Behind the Scenes with this NEW Featurette! THE HATEFUL EIGHT | Get Behind the Scenes with this NEW Featurette! 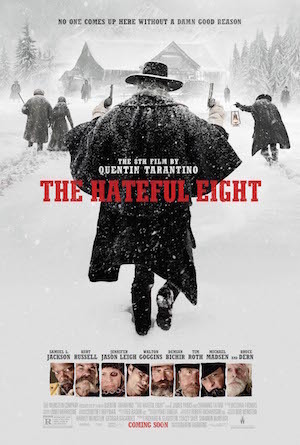 Get the behind the scenes scoop from the cast and crew of THE HATEFUL EIGHT in this BRAND NEW featurette from The Weinstein Company's newest film. Celebrate the New Year by going to see Quentin Tarantino's eighth film, THE HATEFUL EIGHT, playing in theaters everywhere now!